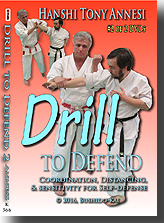 The blocks and punches are obvious. 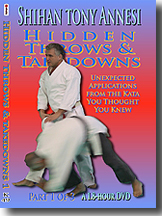 Sometimes the overt armlocks stick out like a sore elbow; but what about the subtle, quick, debilitating jolts to knees and elbows that are so easy to ignore when analyzing kata? 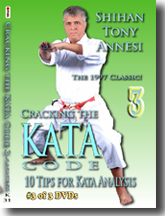 Here they are, clearly instructed and drawn from the kata you thought you knew—amazingly effective and easy to apply! 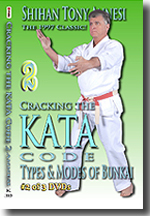 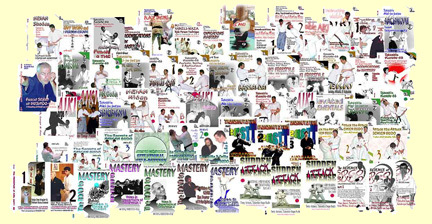 The original plan for this seminar was to cover various jolts from up to 70 kata. 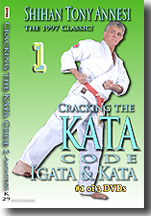 It was quickly determined that even the most basic kata held so many applications that the seminarians could barely cover them all in the four hour seminar. 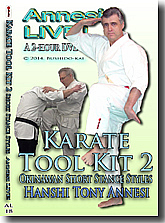 Shihan Annesi took a vote among the students and settled on covering only the Heian Kata. 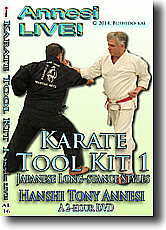 Even then, there was barely enough time to give a representative example of jolt techniques from Heian one through three. 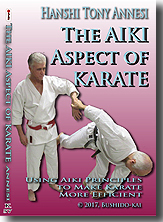 The students also encouraged Shihan Annesi to do a follow up seminar with examples from additional kata. 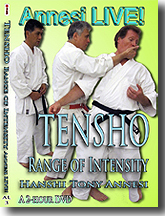 Kyoshi Tony Annesi uses Heian Yondan, Godan, and Kanku-dai to illustrate possible interpretations of subtle joint jolts and how they can be converted from formal to more free-flowing practical applications.